IEEE Canada remembers, through the A.G.L. 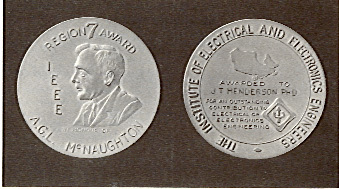 McNaughton Award, General McNaughton’s contributions to the engineering profession in Canada. Recipients of the McNaughton Award are outstanding Canadian engineers recognized for their important contributions to the engineering profession. See the list of recipients of the A.G.L. McNaughton Award. The IEEE Canadian Foundation also remembers General McNaughton by naming the approximately fourty Learning Resource Centres in his memory – these centres are located in Student Branches across Canada. The first such branch was created at the University of Manitoba in 1979 by then Region 7 Director Ted Glass. See the listing of IEEE McNaughton Learning Resource Centres by date of formation. General Andrew G.L. 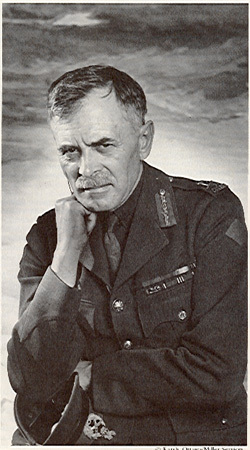 McNaughton (1887-1966) is remembered by most people as a military man who later became a member of the Canadian cabinet, assuming the post of Minister of Defense. His many other contributions to Canada are not realized. McNaughton was a graduate of McGill University, holding the degree of Master of Science, with Honours in Electrical Engineering. His interest in science resulted in the invention of the cathode ray direction finder – the direct forerunner of radar. In the 1930’s, with the characteristic enthusiasm he devoted to all his undertakings, he secured Canada’s place in civil aviation, represented Canada at several important Commonwealth conferences, and established army-administered work camps for the unemployed. Work done at these work camps created a network of air fields which enabled the creation of Trans Canada Airlines. In 1935, he became president of the National Research Council, where he remained until the second World War drew him into active duty again. In August of 1945, McNaughton was named Chairman of the Canadian Section of the Canada-United States Permanent joint Board on Defense. In 1946, he was appointed not only the Canadian representative to the United Nations Atomic Energy Commission, but also, President of the Atomic Energy Control Board of Canada. In January of 1948, McNaughton was appointed permanent delegate of Canada to the United Nations and a representative of Canada on the Security Council. In 1950, McNaughton became a Commissioner of the International Joint Commission and shortly after, became its Canadian Chairman. During his twelve year tenure of this position, the IJC considered, among other major engineering projects, the development of the St. Lawrence River for power and navigation, the best use of the Columbia River for power in the west and the international tidal power potential in Passamaquody Bay. Over his lifetime, McNaughton demonstrated beyond refute his abilities, as a diplomat, a scientist and a politician. Over a period of many years, he was deeply involved with a majority of all national engineering decisions. The following tribute, published on CANADA DAY, 2004, attests to his international stature. JAKARTA — Indonesians are honouring one of their national heroes today — Canadian general and diplomat Andrew McNaughton, whose work at the UN Security Council in 1948 helped create their country. “He is a hero to Indonesians… Without McNaughton, our independence war against the Dutch and British would have gone on for many more years,” says Eki Sjahrudin, Indonesia’s ambassador to Canada. This morning, Indonesian Foreign Minister Hasan Wirayuda bestowed the country’s highest civilian award on Gen. McNaughton, honouring him in a posthumous Canada Day ceremony for his contribution to the modern Indonesian state with the Bintang Jasa Utama (Meritorious Service Star). “My grandfather was decorated in World War I and World War II, he received many medals and honorary degrees, but this is one of the highest awards from one of the largest countries in the world,” said Tom McDougall, Gen. McNaughton’s grandson, who accepted the award on behalf the family. “I know that he would be enormously honoured by this gesture,” the Ottawa lawyer said. By all accounts, Gen. McNaughton, a native of Moosomin, Sask., (then NWT) was a formidable man. In his 79 years, the father of five made his mark as an engineer, war hero, parliamentarian and diplomat. He graduated from McGill University with a master’s degree in electrical engineering in 1912. Within two years, he had eloped with his fiancée and joined tens of thousands of other young Canadians serving overseas in the First World War. He was twice wounded, won the Distinguished Service Order and finished the war with the rank of brigadier-general. 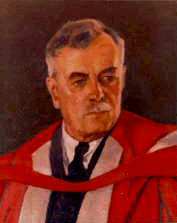 After the war, he became president of the National Research Council, overseeing scientific research, but when the Second World War broke out, he returned to active service. Within three years, he was commander of the First Canadian Army, but it was a short-lived assignment. Fiercely nationalistic and a vocal advocate of the Canadian Armed Forces, he clashed often with Ottawa about civilian decisions that would place his soldiers under Allied command, leading to his abrupt resignation in 1943. It was five years later, as Canada’s envoy to the United Nations Security Council, that he crossed paths with representatives of the nascent Southeast Asian state whose history books now remember him. For 300 years, the 5,000 kilometre-long archipelago now known as Indonesia was ruled by an often-brutal Dutch colonial administration. When the Second World War broke out, Japanese forces quickly rolled up the length of the Malay peninsula to Singapore, through what is now Indonesia. The Javanese initially welcomed the Japanese as liberators but euphoria was quickly quashed when their “Big Brothers” proved as brutal as the Dutch. When the Japanese occupiers finally surrendered, nationalist forces seized their weapons and declared their independence from the Netherlands. Attempts by British, and later Dutch troops to reimpose the colonial order sparked a three-year war of independence. In Gen. McNaughton, they found a champion. Along with the Dutch, Russia was also interested in the region. And in 1948, there was an attempted communist coup, eventually quelled by Javanese fighters. Against this turbulent background, Gen. McNaughton presented what became known as the Canadian Proposal, which created the UN Commission on Indonesia that led, in December, 1949, to the full transfer of sovereignty from the Dutch. The Indonesian crisis was just one of many before the UN in the postwar years; the Palestinian question, disputes between India and Pakistan and mounting Cold War tensions also loomed large.